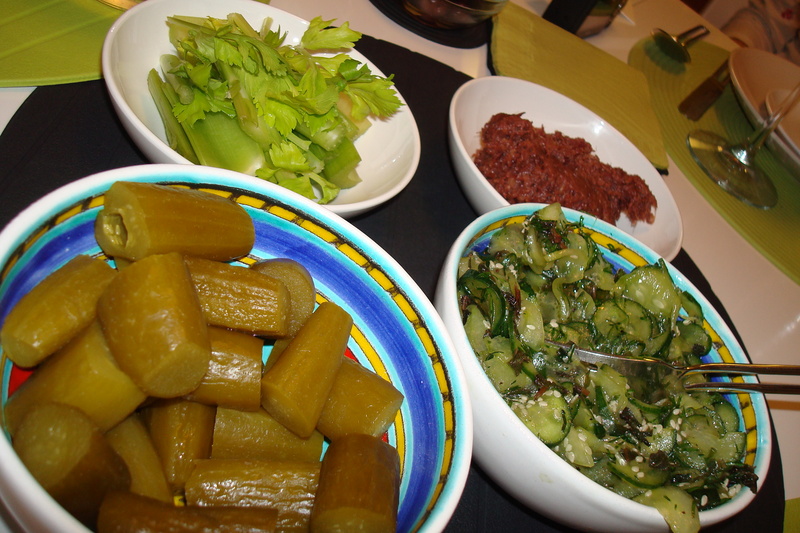 Seder salad plate: Israeli pickles, cucumber salad, Sephardic date charoset and celery for the karpas. Salmon gefilte fish: I might still prefer Manischevitz. We’ve had more seder invites than ever before here in Oregon. I guess Jews really come out of the woodwork in a small college town. Tonight we got to experience our first Israeli-style one. It was just our vibe, with only some cursory readings from the haggadah and more emphasis on the food. The presence of two toddlers throwing food around the table also added levity. 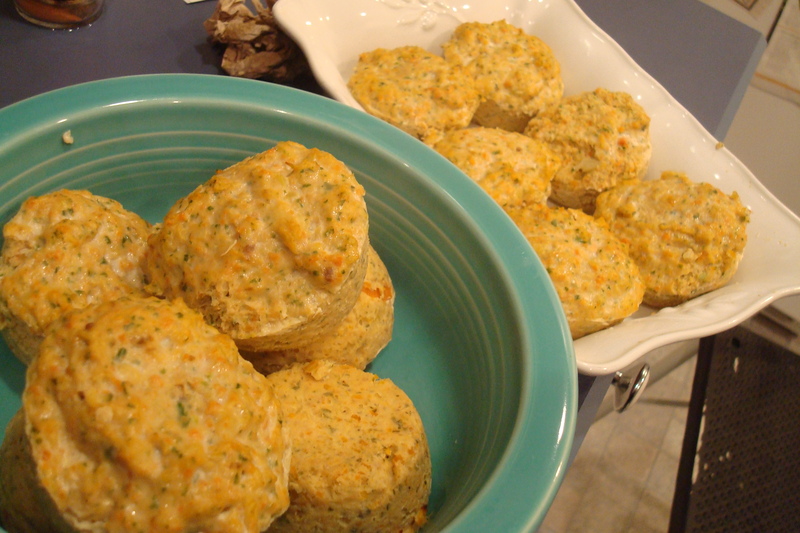 For some reason, I decided to make the gefilte fish. I had heard about a version made with salmon that is popular here in the Pacific Northwest. Wrestling the carp in the bathtub and boiling fish heads and bones into stock this is not. No, in fact my recipe simply called for grinding up fresh salmon with onions, carrots, parsley and eggs in the food processor. Then you bake the mixture in muffin cups until set. I got the recipe from the Cooking Jewish book I reviewed for The Sun. But I’m still curious about the method where you slowly boil the balls in homemade fish stock. That’s how Dan’s Bubbe, the self-proclaimed ace of gefilte fish, did it. Be sure to have your fish man grind the fish for you in advance, she stressed. I hope I get the chance to make it with her sometime. Hummus the way it should be made. There were unusual treats at this seder table, like potato-matzo meal rolls (anything resembling bread is such a luxury), a smooth, apple-less date paste for the charoset (makes sense since apples aren’t native to region) and plates of creamy whipped hummus. The secret to good Arab/Israeli hummus seems to be the quality of the tahini or tehina (ground sesame paste) which they bring from back home. Ours seems to be thicker and clumpier here. 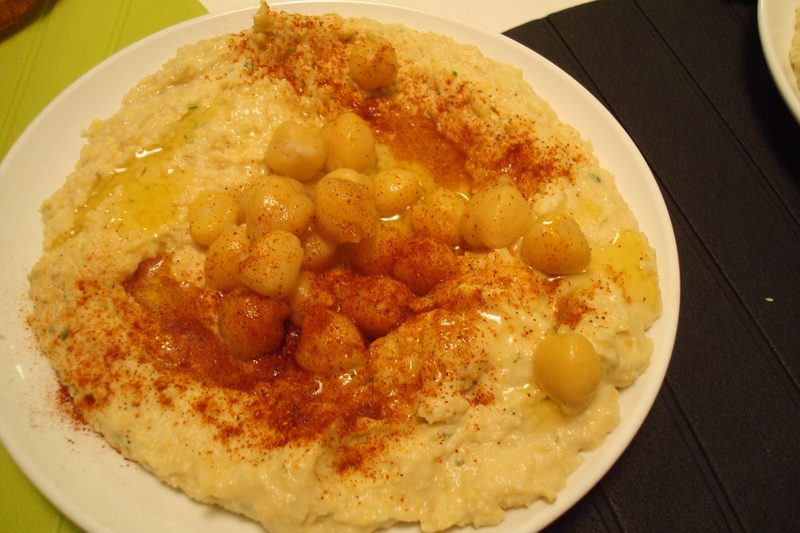 There was no secret ingredient but the hummus was seasoned with paprika, lemon juice, garlic, cumin and olive oil. And garnished with a drizzle of oil and the whole chickpeas. The Israelis were talking of some fabled cook’s top-secret hummus recipe, perhaps that of Abu Hassan’s in Jaffa? 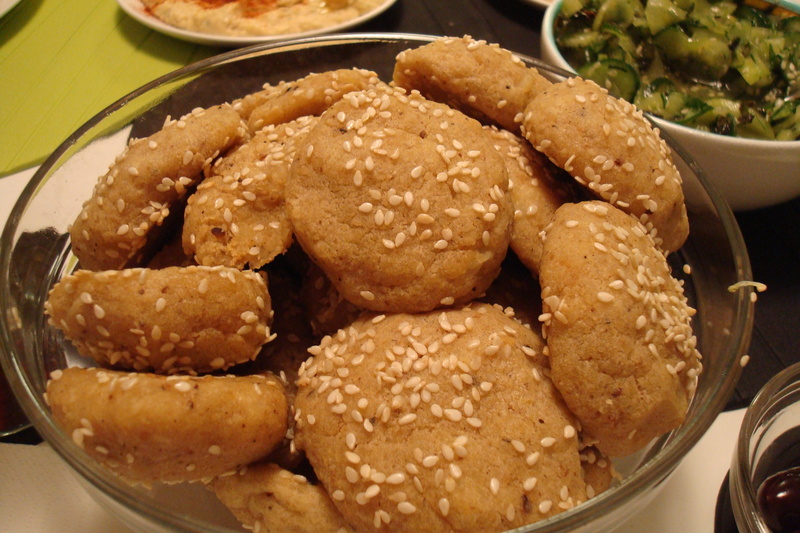 Food preferences unite Israelis and Arabs. If only breaking more bread together could somehow lead to peace. But politics was mostly off the table tonight. In fact, the group tonight was surprised that the Corvallis rabbi would hold forth on Israel/Mid-East politics during a Yom Kippur service. But it’s so second nature for us to mix up politics, religion, etc. here. The best thing I made was the beet red horseradish, the sweet root vegetable softening the bitter herb’s bite. Dan and I screamed and cried from the fumes that filled the kitchen as I ground up that bitter root last night. Luckily, there’s plenty more in the freezer. The ruby condiment also nicely contrasted with the pasty fish logs. For dessert, we had a lovely flourless chocolate torte. And I indulged in the Matzo Brittle crack recipe. If you like Fleur de Sel caramels, you’ll love this. Now just one more foodie-focused seder to go, Friday. Next year at our house? We need to step up to the plate. Apparently my own Nonny had to go into traction after attempting to make gefilte fish once. Oh and one of those salads had a delicious tahini-rice vinegar-honey dressing that I recreated tonight. I must use tahini in dressings more! Who are these mystery west coast Israelis you speak of? Would have loved to do Seder with you guys! Hope you and Shannon are well. Maybe seder next year in Oregon? Or next year in Jerusalem?